When it comes to baby gear, I'm a huge fan of the Graco® line. 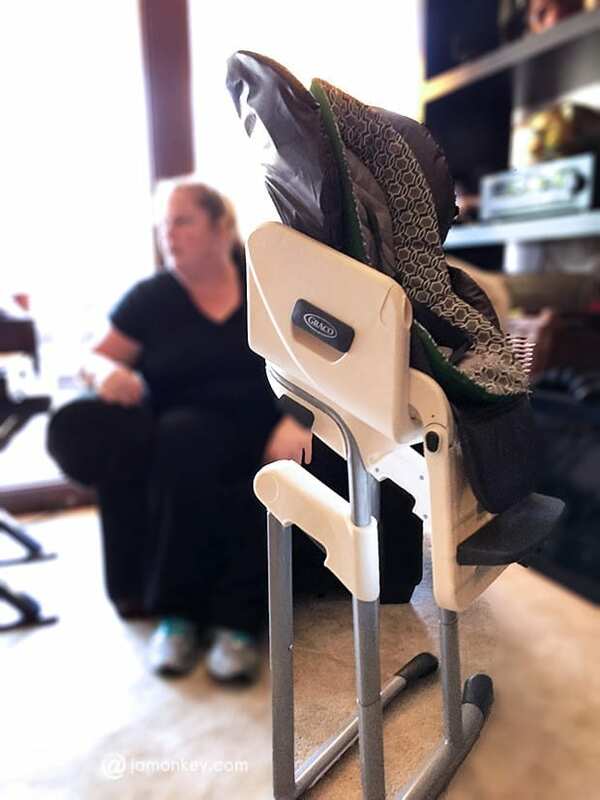 I was invited to attend a Graco® at home event to get a first hand look at their newest highchair. They also sent me home with one to try out first hand. 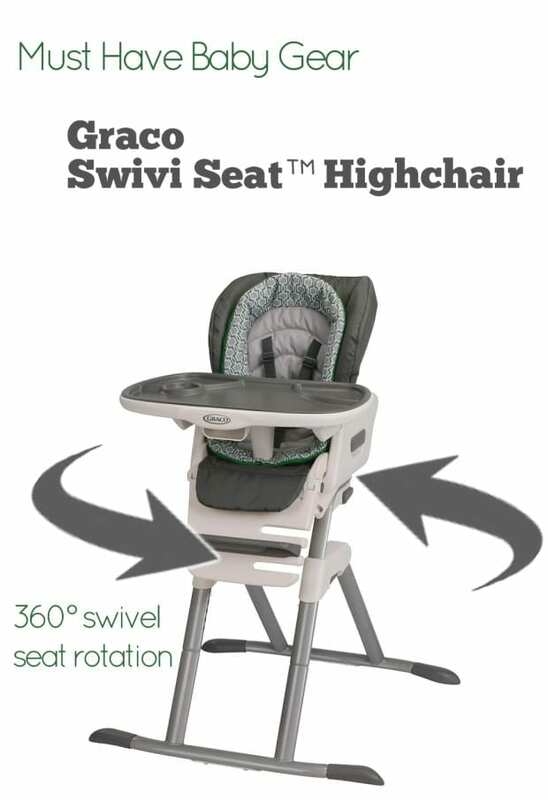 It's called the Graco® Swivi Seat™ Highchair and it's the only one that I've seen that can spin 360 degrees on it's base. There is a reason Graco® is the leading innovator of baby and children’s products. They create products to be function on many different levels to grow with your family. Because nothing is worse than having to replace your baby gear when they move into the toddler years. I've owned a product from their entire line, including car seats, strollers, travel systems, swings, highchairs, playards and nursery care essentials. The Graco® Swivi Seat™ Highchair has a fantastic new feature. The base of the chair can swivel 360 degrees to make eating together or simply feeding your child a breeze. 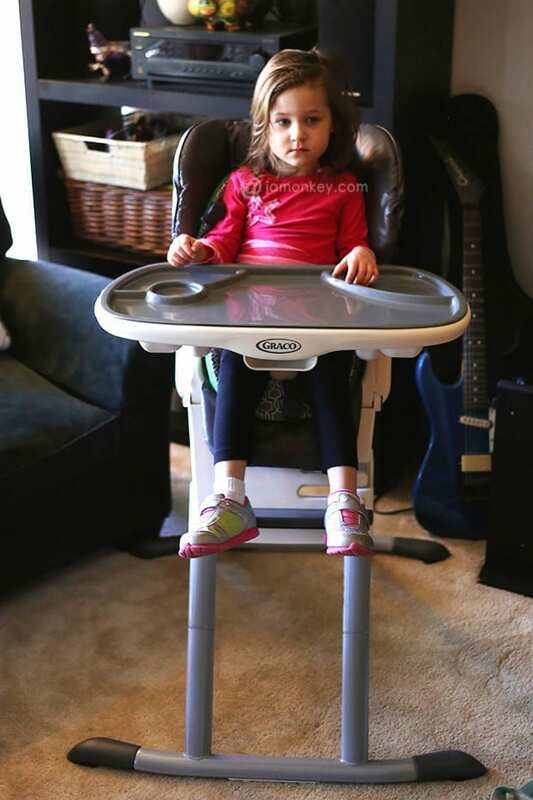 Instead of moving the whole highchair around at the table or at a counter you can simply swivel the chair now. You can remove the tray with one hand, which if you've ever tried to put a hungry, squirmy baby, is incredibly challenging. The top tray is dishwasher safe and has grooves in it to section off food and has a drink holder. The chair reclines also to make feeding a tiny baby easier. You can also fold it up to save space.I was able to get my three year old into the chair with no problem so it is another product that will grow with your child. Last but not least, the removeable cushion is wipeable and machine washable. 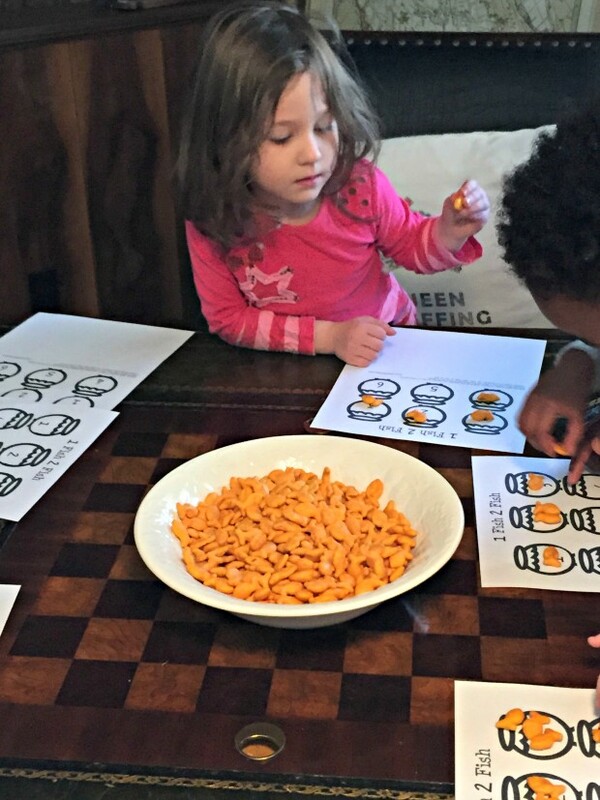 At the party the kids had a fun time playing a counting game with goldfish. The kids took turns sitting in the highchair. It was amusing because we all went a little paparazzi on them and a few pictures in they all would start crying. Mine gave us her best mean face and then covered it with her hands. She was not impressed. But it's nothing a few more goldfish wouldn't fix. 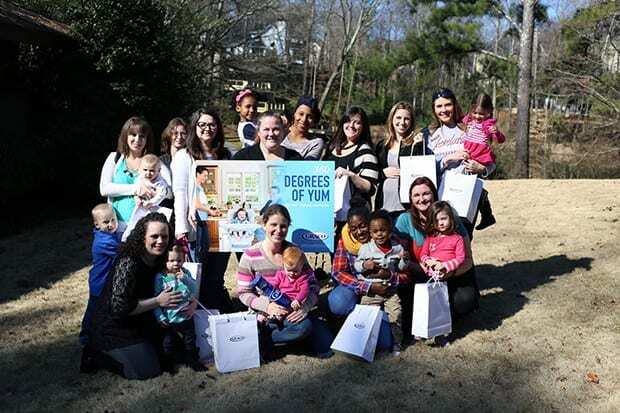 We had a great time learning about the new Graco® Swivi Seat™ Highchair. She looks so happy and pleased in her new seat! That swivel is a really cool feature.